Writing after yet another busy period! the IEEE VR 2011 conference. 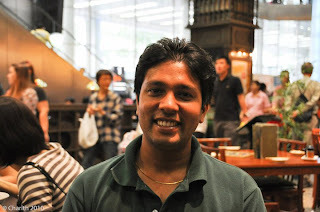 It was held during 19 – 20 March 2011 at Suntec convention center in Singapore. I was there as a student-volunteer with few more students from MXR lab. 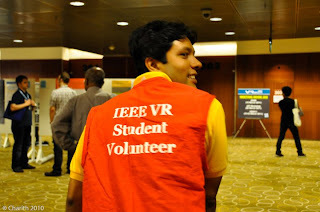 It was my first student-volunteer experience in a conference and it was great! Had chances to attend the conference free.. and importantly talk to several high ranked professors.. got to know their research works and so on. Apart from those, there was a lab tour for conference attendees, which was to CUTE Center, MXR. Had to setup several demos and in return got good comments from them.